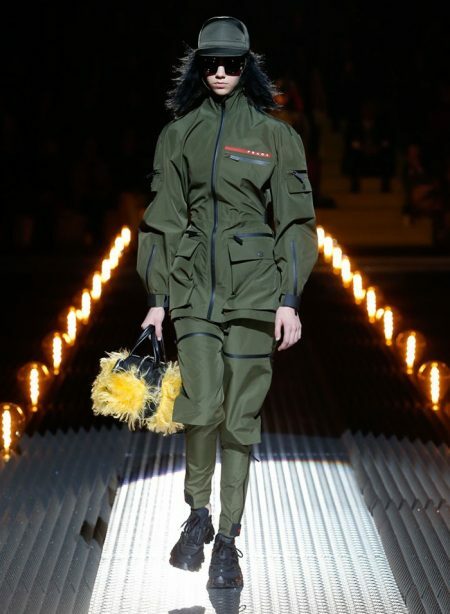 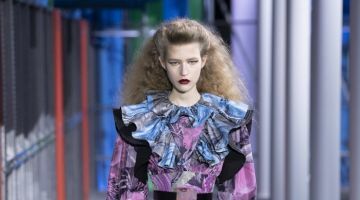 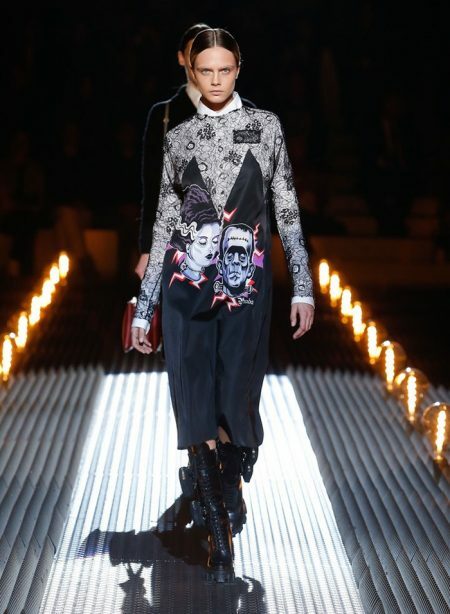 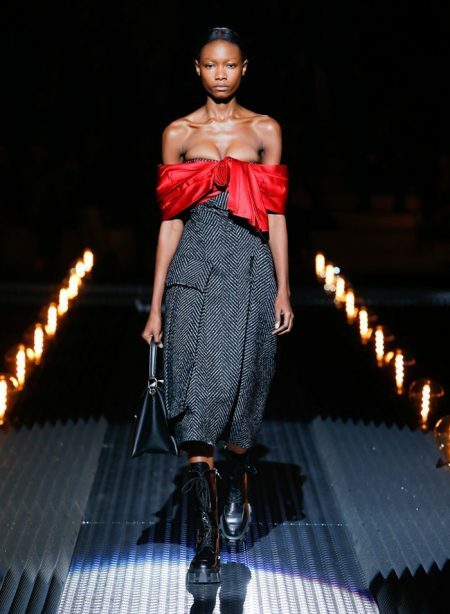 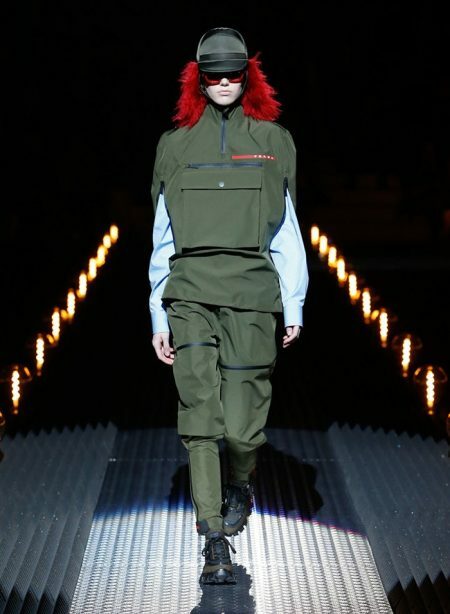 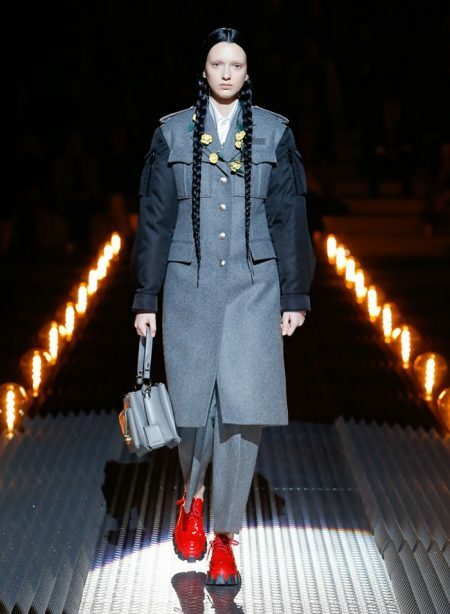 Prada goes gothic for its fall-winter 2019 collection presented during Milan Fashion Week. 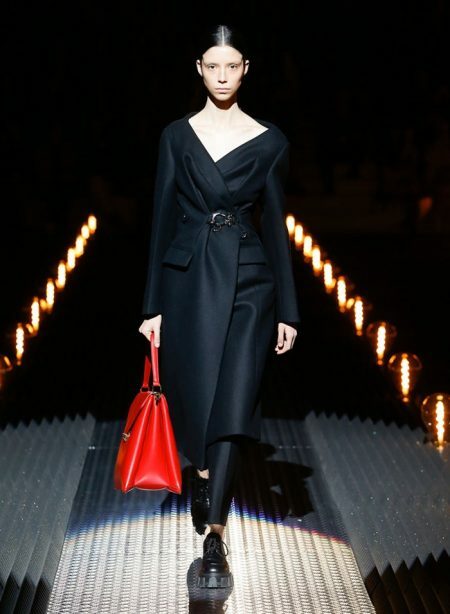 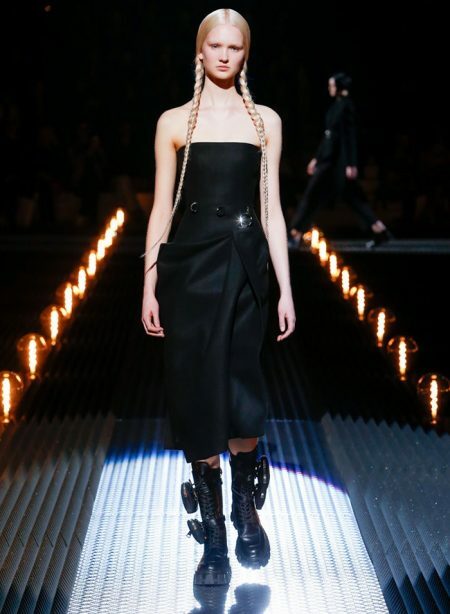 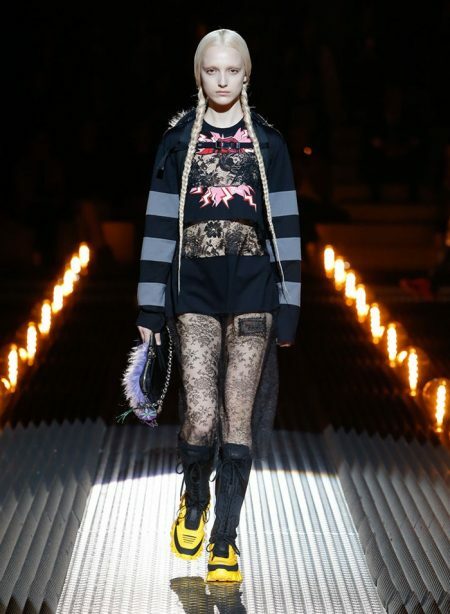 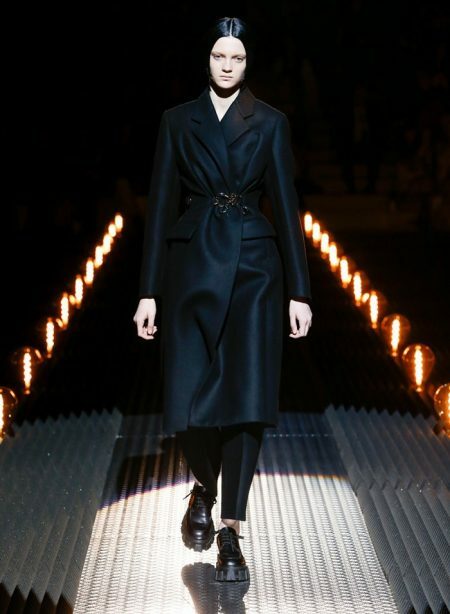 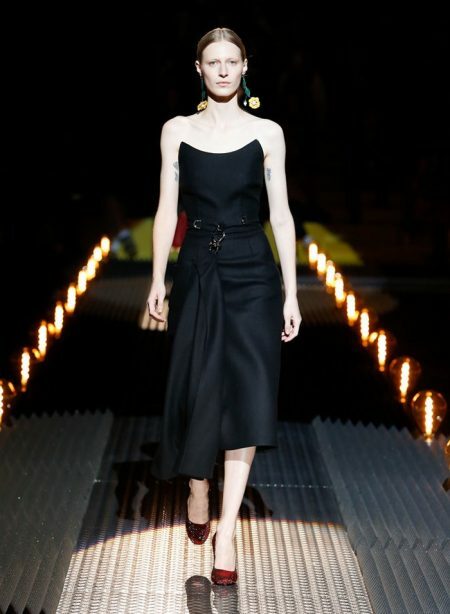 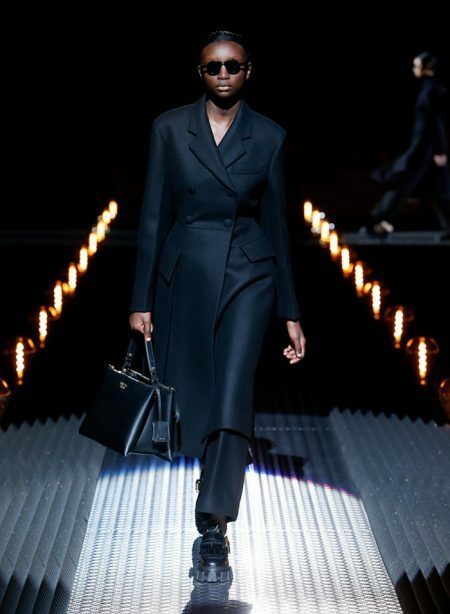 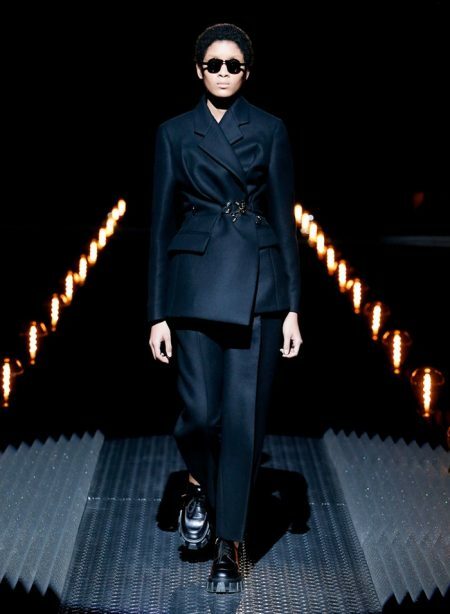 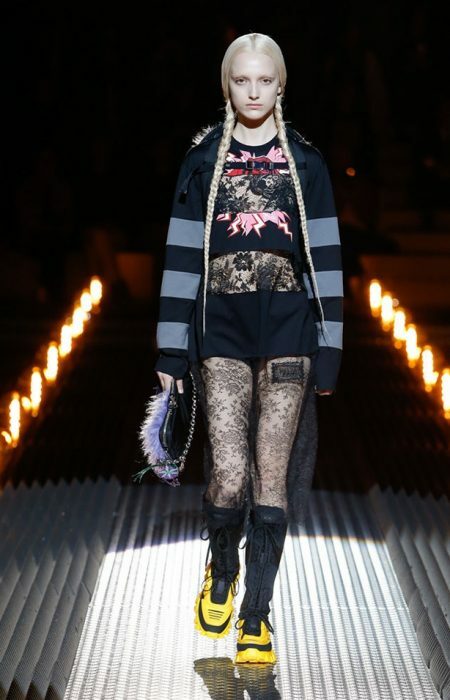 Designer Miuccia Prada looks to fitted waists in black to start out the runway show. 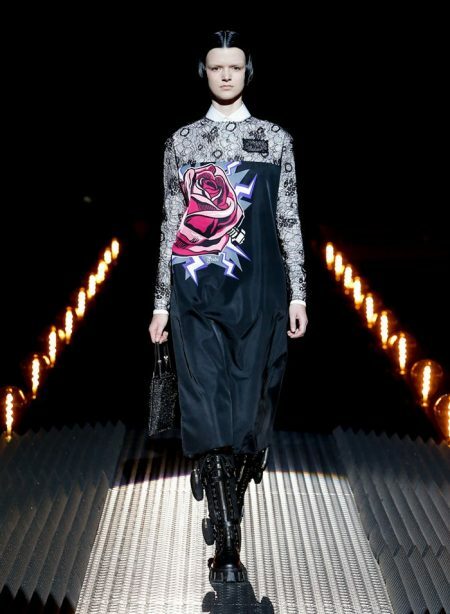 Paired with combat boots, oversized floral prints decorate a number of designs. 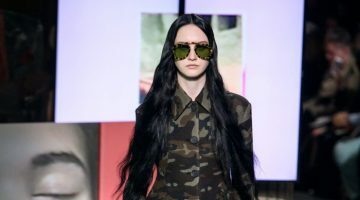 With models wearing their hair in braided pigtails and the ‘no eyebrow’ look, one can not help but think of Wednesday Addams. 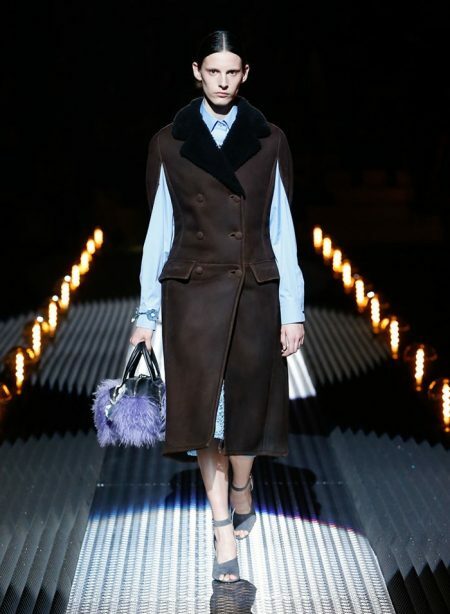 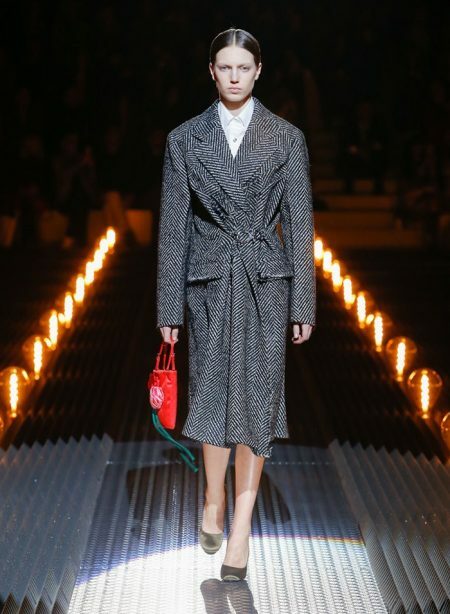 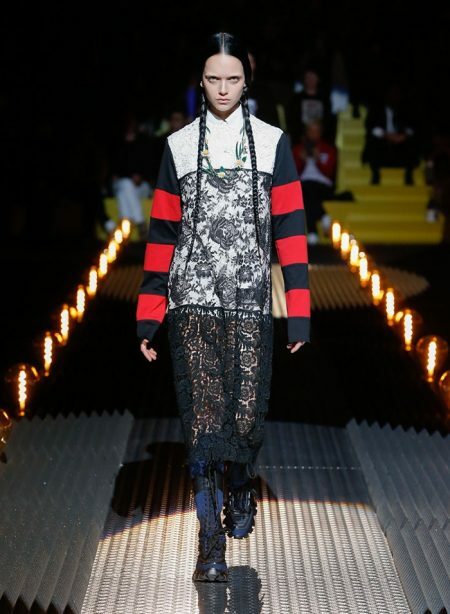 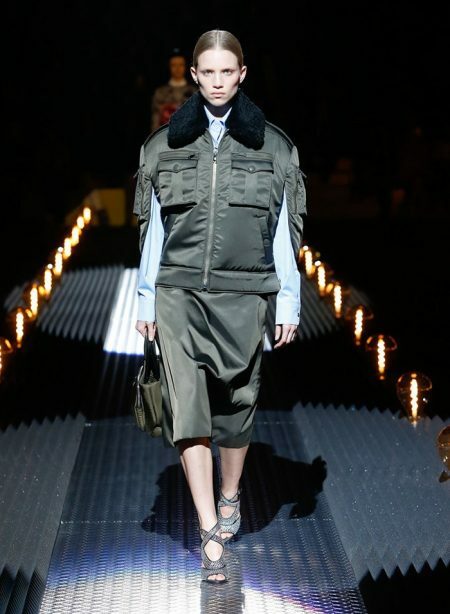 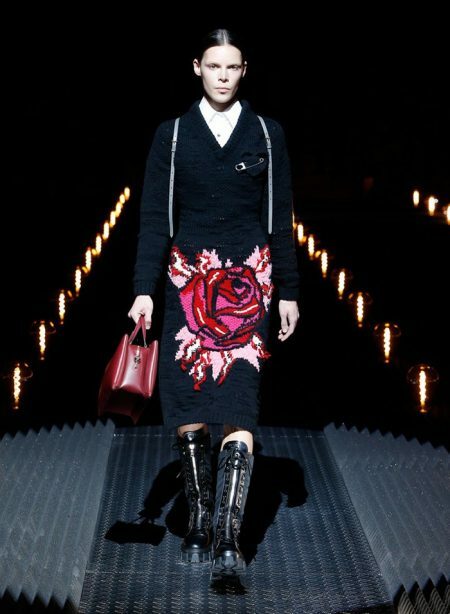 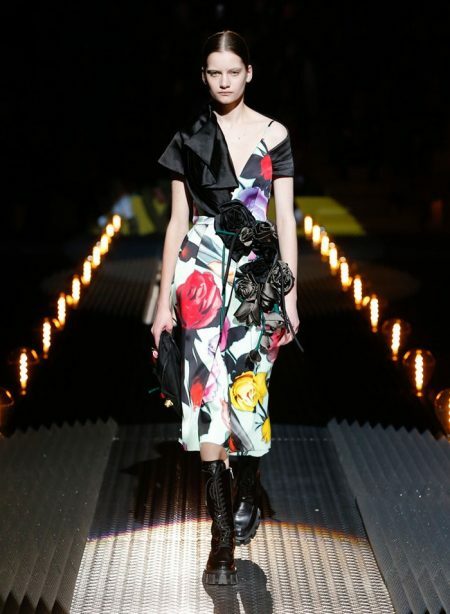 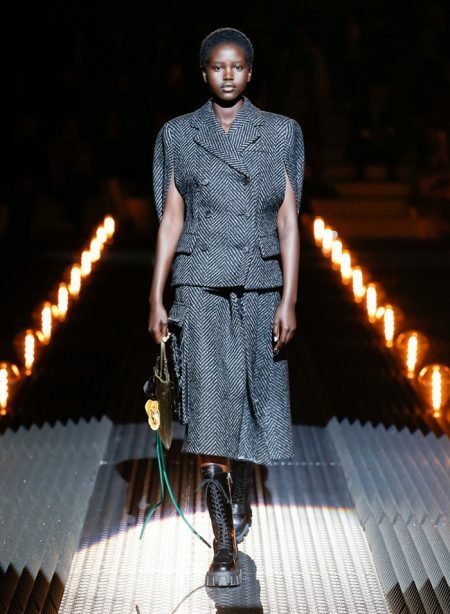 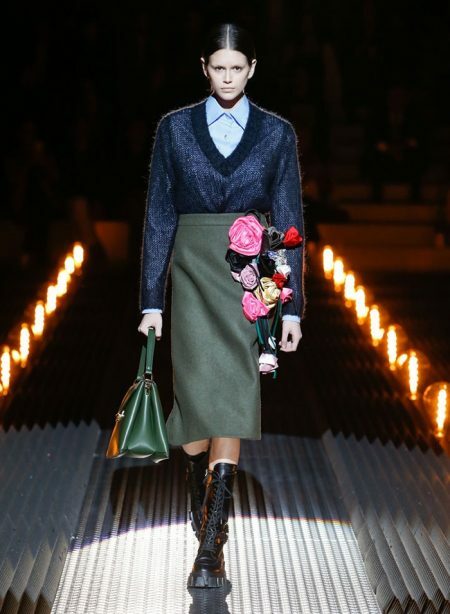 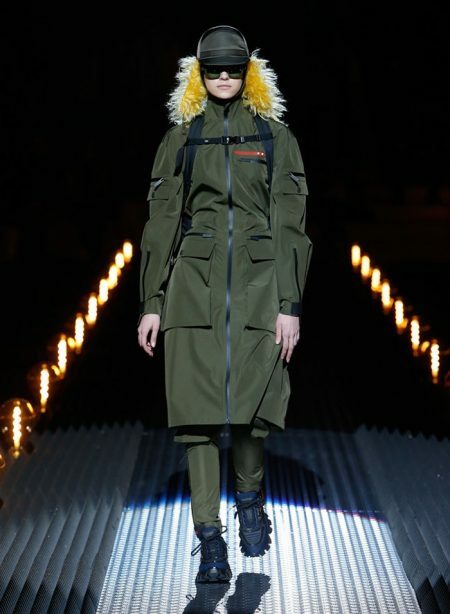 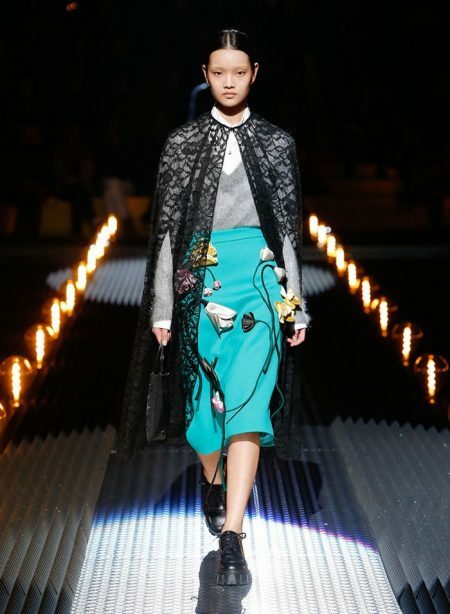 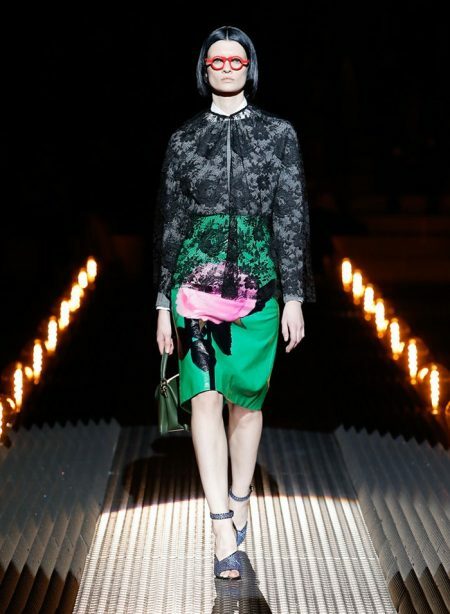 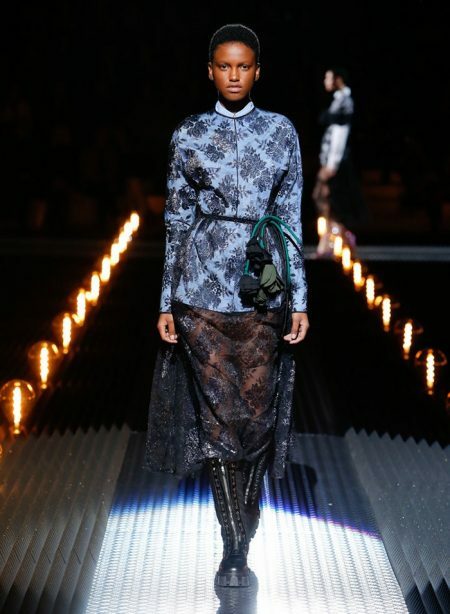 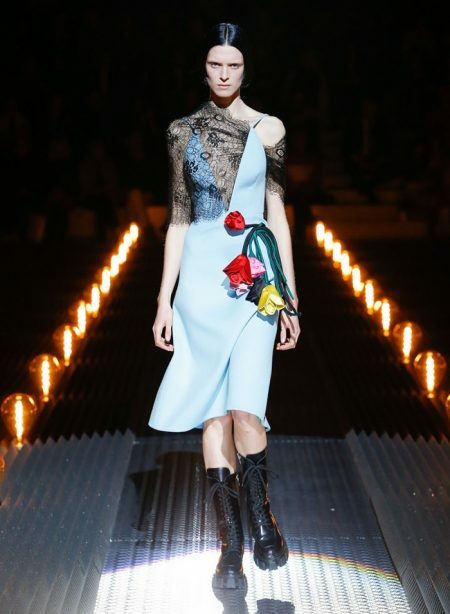 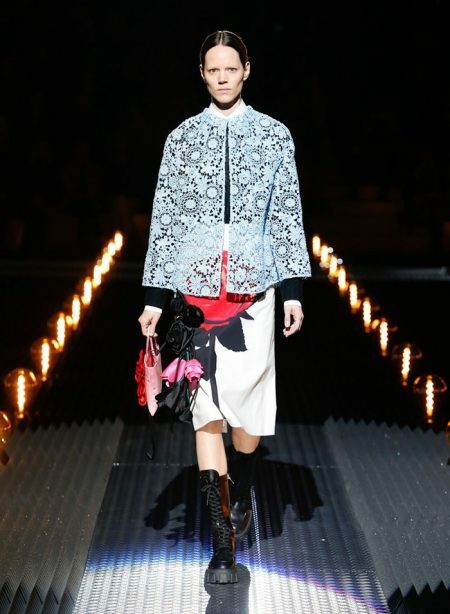 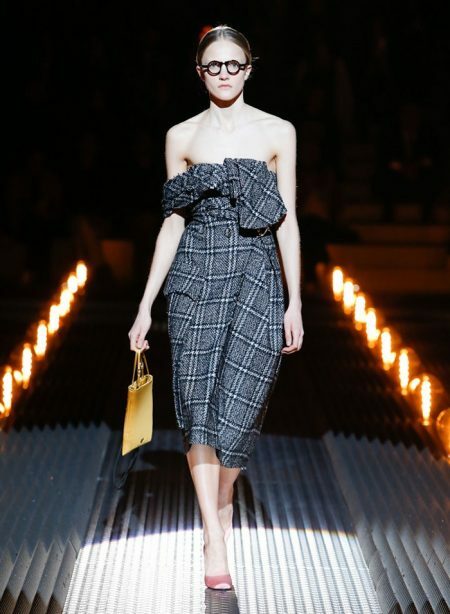 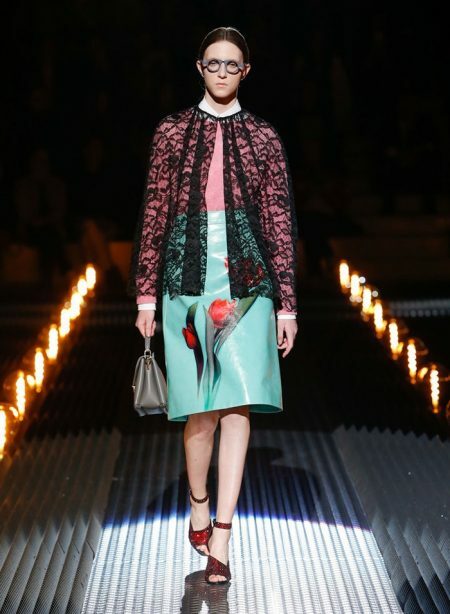 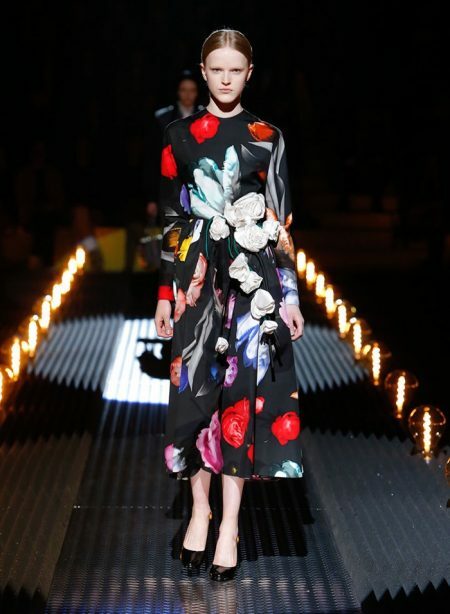 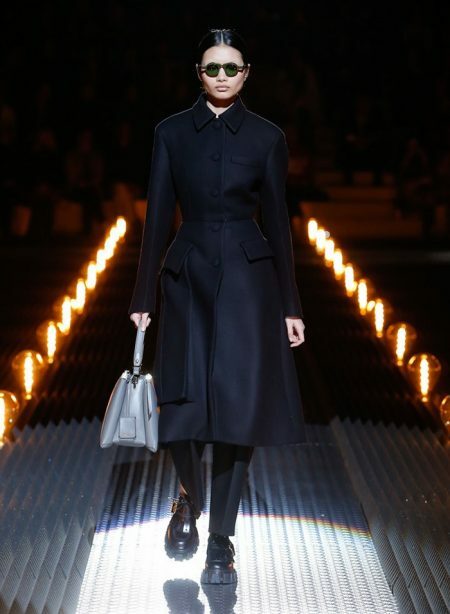 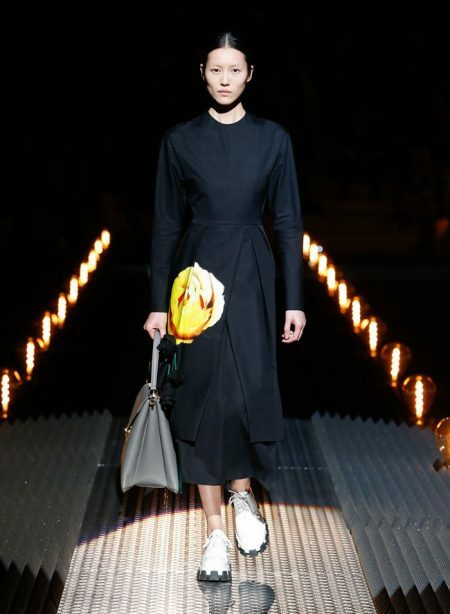 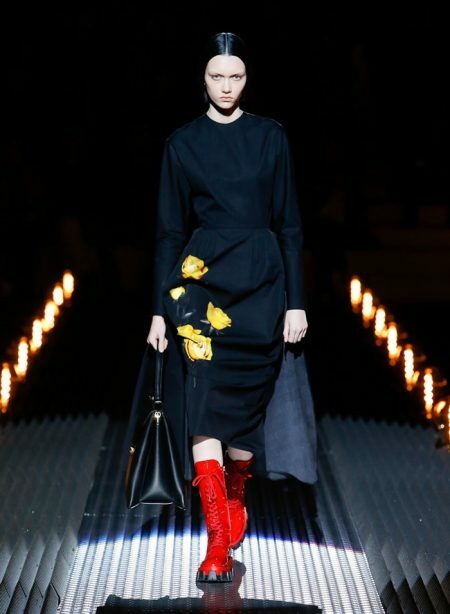 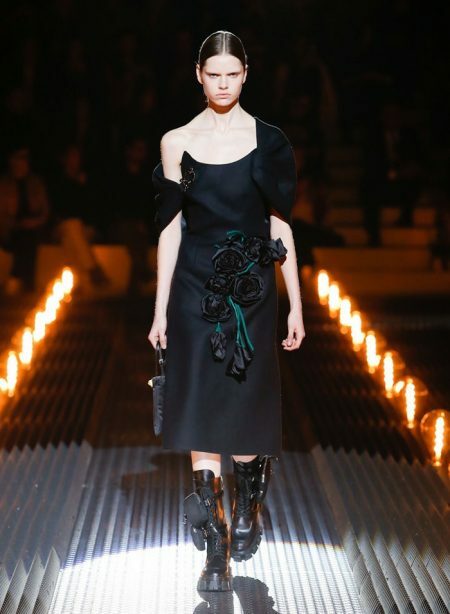 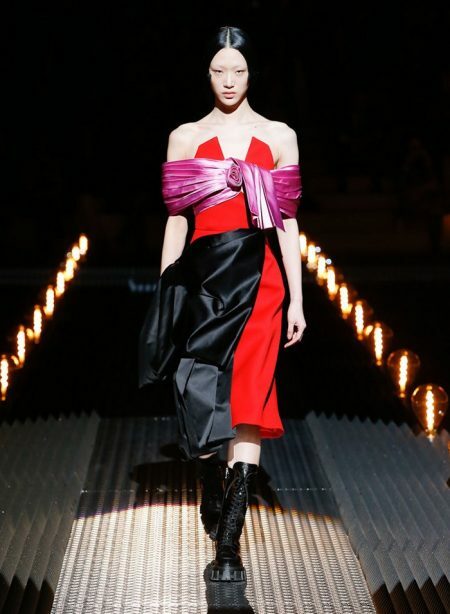 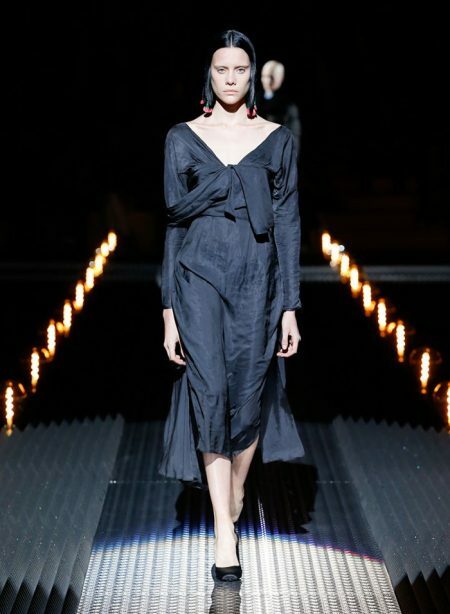 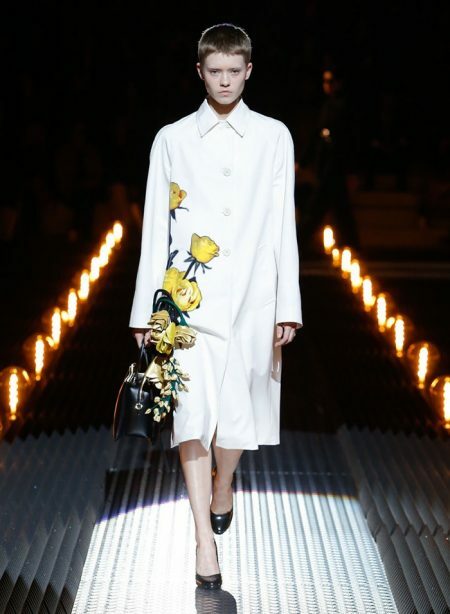 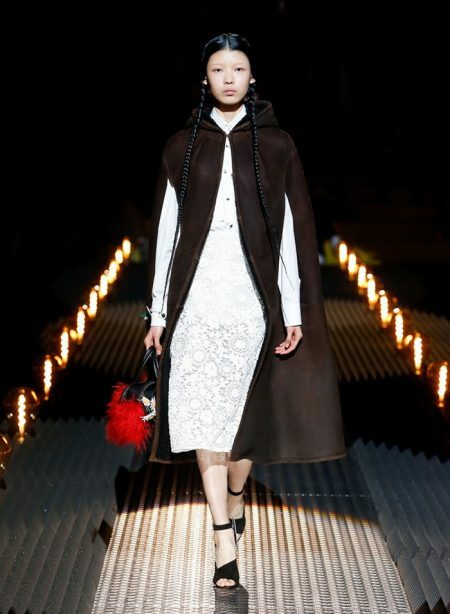 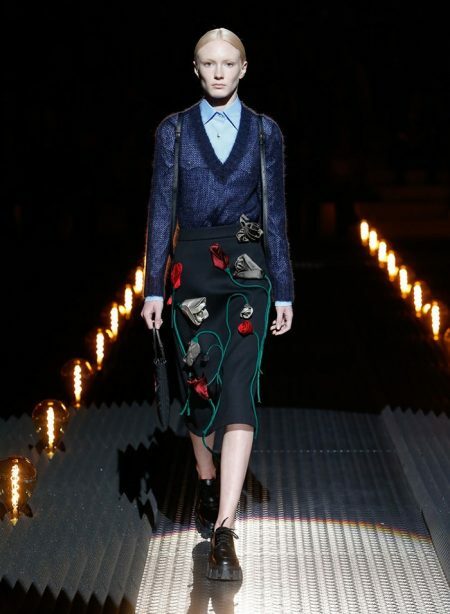 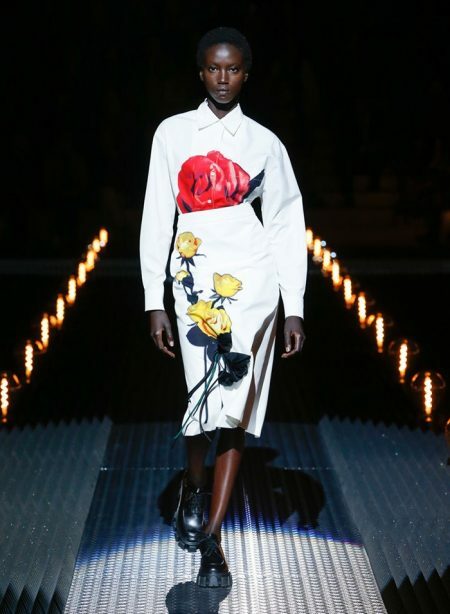 Prada juxtaposes youth styles with more ladylike silhouettes. 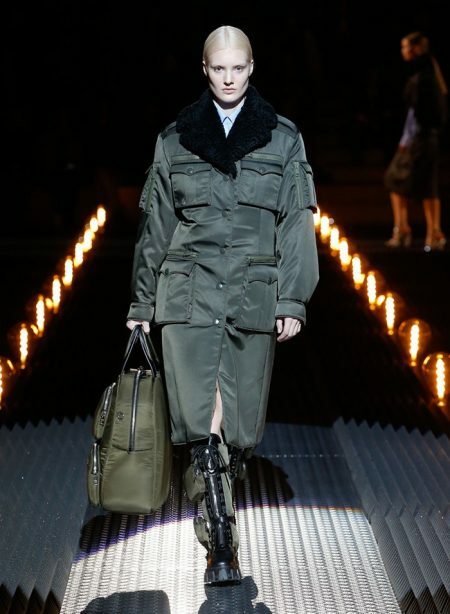 Army green jackets are worn with lace skirts while Bride of Frankenstein illustrations decorate a number of pieces. 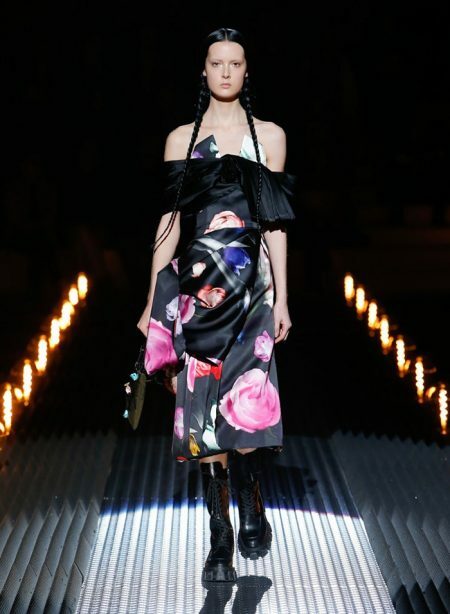 Casting spotlights modeling’s brightest stars including Gigi Hadid, Liu Wen and Cara Delevingne.